Our company started out doing restorations of vintage items like soda vending machines, pedal cars and coolers. No longer in the restoration business, now we sell 1000s of affordable reproduction products that make for great retro decor and gifts. In our office we have an extensive collection of vintage items and thought it would be interesting and fun to share some of these cool items with you. Sorry, but these vintage items are not for sale, but be sure to check out Retro Planet and all the terrific items that you can buy. As part of our Vintage Finds collection, we wanted to share this great retro item with you. This item is not for sale. The Swank brand Cocktail Guide was a vintage find from a local antique store. I found this really cool bartender guide in a little antique shop in Ellsworth, Maine. 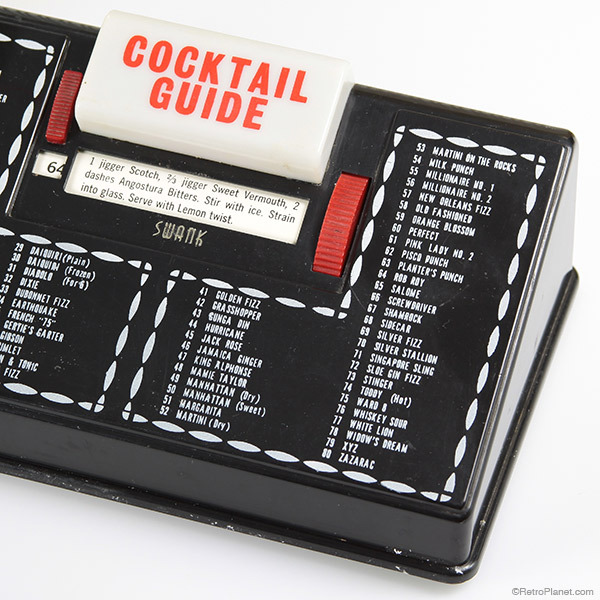 Made of plastic, it has a dial you rotate to find one of the 80 cocktail recipes listed. It even has a battery-powered built-in light. I have to admit, there are some drinks I have never heard of: Clover Club, French “75” and the Gertie’s Garter just, to name a few. Paid $20.00 for it and it makes a perfect accessory for any bar. The window displays the recipe for the cocktail that you have selected. Vintage finds like this are fun accessories for your own home bar. glass 1/2 full of ice. Fill remainder of glass with Champagne. 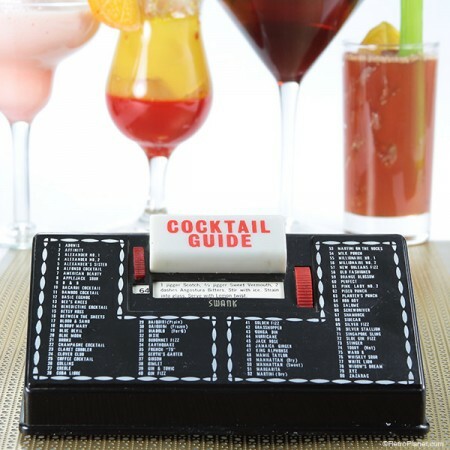 Finds like this cool cocktail guide make for really fun collectibles. 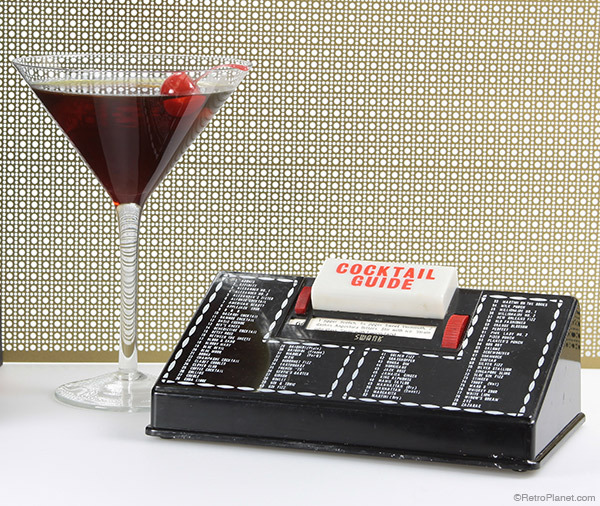 As a reminder of cocktail parties and happy hours of the 50s and 60s, vintage finds with a cocktail theme are decorative as well as being items you can still use today. We’re sorry, but this item is not for sale.